Sales Representative at RE/MAX Professionals Inc.
Irene is a full-time, award winning Realtor at RE/MAX Professionals. 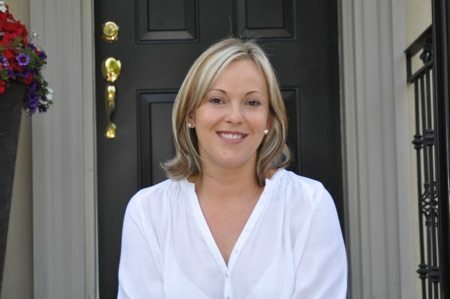 She specializes in home and condo re-sale in Toronto West, Etobicoke and South Mississauga. Irene has a strong background in home design and reconstruction. She has managed many large and small projects, which has given her invaluable knowledge of the resale market. Combined with her previous professional experience in Sales and Marketing has given her an advantage in helping her clients achieve their Real Estate goals. As a West-Ender for over 20 years with her husband and 2 beautiful children, Irene has been fortunate to live and work in the areas she loves. Her neighbourhood knowledge of the west-end is second to none. She is proud to have built her real estate business on referrals from her clients. Irene works hard to give her clients exceptional service and she’s always honest and truly passionate about what she does. She finds fulfillment in keeping her clients priorities in the forefront and helping them every step of the way. My wife and I used Irene to sell our condo and purchase a house in Etobicoke. After interviewing several agents my wife and I felt that Irene was the only person we would trust with our investment. We were looking for an agent that was honest, realistic, aggressive, responsive, experienced and constantly available. Irene brought all of this to the table and more. She knows every trick in the book and isn't afraid of the confrontation required to get what you want. Irene has lived and worked in the west end for the majority of her career and it shows. Her ability to predict market trends, determine seller motives, identify a quick flip from a well constructed home and know the history of a prospective neighbourhood was extremely impressive. Beyond all of this, she's not afraid to roll up her sleeves and go diving into an attic!! Almost a year after the closing of our home, Irene is just as attentive to us as the day we signed with her. I look forward to our next move with Irene. When we decided to sell our home , we wanted someone professional and trustful. We find that in Irene Tavares. Preparing the property for presentation was a smooth process. She handled everything, from the stager to the photographer. Our house sold within a week of being on the market for almost 50K over asking price. [ highest selling price in our street. ] We have recommended her to our friends and family. Thank you Irene. I was honestly very impressed with how Irene handled everything from the showing to the leasing and even move-in. Needless to say, we were lucky to have her as our agent. I would be happy to recommend Irene to friends and family without hesitation. Dear Irene – I would like to write a personal testimonial to express my appreciation and thanks to you. Irene, you have gone above and beyond the call of duty in helping me to buy my property. Your attention to detail amazes me and I it is quite evident how passionate you are about what you do. You were quite relentless in your search for the perfect property for me and yet you managed the exercise as though you were house hunting for yourself! Your knowledge based on extensive research was invaluable. I was impressed by your negotiation skills and how you managed to obtain for me all the extras I was not expecting to receive. Thank you for making the entire experience a very positive one and I hope others can benefit from your expertise. I now consider you my family real estate agent as you have done such a wonderful job in helping other members of my family in purchasing their homes as well. You are right up there with my doctor and dentist! Thank you Irene for everything and be assured of my support. 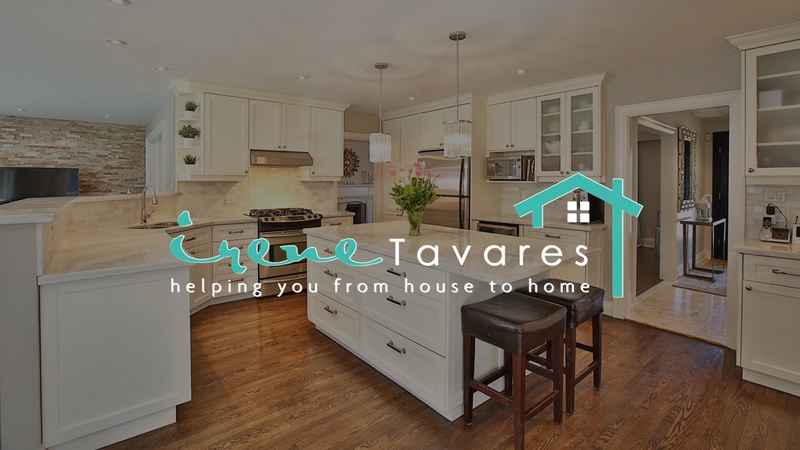 Irene Tavares is the best of the best and we are so grateful we hired her for our real estate transactions. Not only did she sell our somewhat unusual house for a price that we never would have imagined, but she also managed to find us the dream home that we never thought we would be able to afford. And throughout the entire experience, she was there to support us every step of the way and truly alleviated a tremendous amount of stress on us. I shudder to think to imagine what the experience would have been like without her and we whole heartedly recommend her. Dear Irene, I wanted to thank you for all the great work you did for us in helping us find and purchase an investment condo, and subsequently finding us a great tenant. Your knowledge and expertise makes you a true connoisseur in the real estate industry. You always made time for us whether it be showing us properties of interest or answering a phone call or email. We always felt valued as clients of yours. You took the time to research different locations and markets for us in finding the perfect investment property as well as screening potential tenants. You listened to what we were looking for and helped us make the right decision with our real estate transaction. Your advice and knowledge was extremely valuable to us as this was our first time dealing with an investment property. I will certainly recommend you to all my family and friends. Dear Irene: Dorothy and I would like to sincerely thank you for your hard work and dedication as our agent in finding and helping us purchase our first house. We were nervous and apprehensive about the process, commitment, and uncertainty and you helped ease our worry and truly made finding our home an enjoyable experience. Dorothy and I strongly believe that your drive and advocacy helped us obtain our home at under market value, which we do not think is an easy task in this seller’s market. THANK YOU! We will recommend you to anyone we know who is buying a home. We used Irene to help us purchase our first home during a very hectic time in our lives. We were in the midst of moving back from the UK and we were expecting our first child. Her personal, patient and thorough approach gave us the peace of mind that we were purchasing not only an investment but also a sound home for our new family. She demonstrated exceptional knowledge and often provided helpful guidance when making this very important decision. We would highly recommend her to anyone looking for a home and rest assured that she will not disappoint.